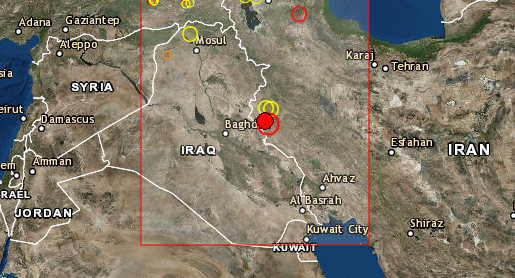 A powerful 6.3R earthquake has just been reported in Iran-Iraq border, at the location shown in the map above. The event was felt to places over 150km away. USGS said the quake was at a depth of 65 kilometers (40 miles) and struck 114 km northwest of the city of Ilam, close to Iran’s border with Iraq. 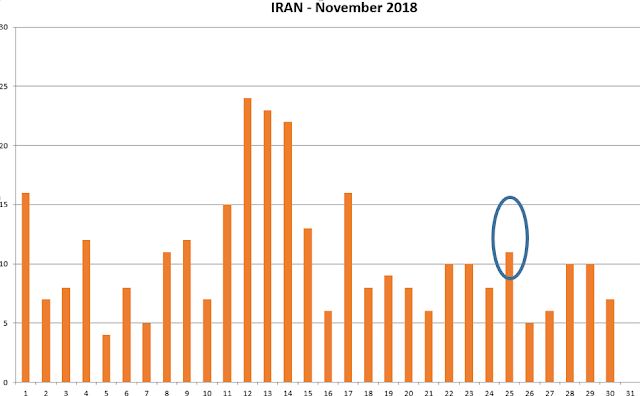 Our prediction calendar for Iran, published a month ago, is shown below and the FDL Method peak is shown for your reference.